Format for the day will be 6 min Qualifying, 3 x 10 lap heats and a 15 lap Final (20 for KZ2). The track will be open for practice Saturday April 13 and weekends prior. 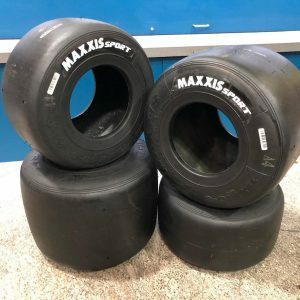 All entries received by close of pre entries in Maxxis Tyre Classes will go in the draw for a set of Maxxis Tyres, drawn at the start of the drivers briefing. The track will be open for practice Saturday April 13 9.00am to 4.00pm. As usual CDKC will be endeavouring to deliver a great days racing for all with classes catering for any KNSW compliant kart.